PT Astra Honda Motor (AHM) has launched the 2018 Honda CBR250RR in Indonesia. The motorcycle features new paint schemes and a unique all-digital display. The 2018 Honda CBR250RR gets two new paint schemes in Indonesia - Black Freedom and Bravery Mat Red (pictured). The new paint schemes on the 2018 Honda CBR250RR are Black Freedom and Bravery Mat Red. The new colours on the motorcycle aim at reflecting the character of the rider while also providing the highest level of pride while riding. The new paint schemes are available alongside the existing colours - Mat Gunpowder Black Metallic and Honda Racing Red. The company also introduced a new white paint scheme on the Honda CBR250RR in Japan in April. We realize this Honda supersport model is selected and even modified according to the character of its user identity. Therefore, the latest look of the New Honda CBR250RR offers the ease of creating on top of its aggressive motorcycle design. In addition, we also maintain a variant with a display that is aggressively striking on other color choices. Powering the new Honda CBR250RR is a 250 cc, liquid-cooled, 4-stroke, DOHC 8-valve, parallel twin engine with fuel injection that is capable of developing a maximum power of 38.7 PS at 12,500 rpm while developing a peak torque of 23.3 Nm at 11,000 rpm. The engine pairs to a 6-speed transmission. The CBR250RR can sprint to 200m in 8.65 seconds, while the motorcycle can reach a top speed of 170 kph. The Honda CBR250RR features USD forks up front and ProLink rear mono-shock with 5-step preload adjustability. The bike is shod with 17-inch alloy wheels that run on 110-section front and 140-section rear tires. Anchorage comes from petal disc brakes at both the ends with standard dual-channel ABS. The 2018 Honda CBR250RR starts at a price of IDR 59,900,000 (On the Road) and goes up to IDR 71,325,000 (On the Road). 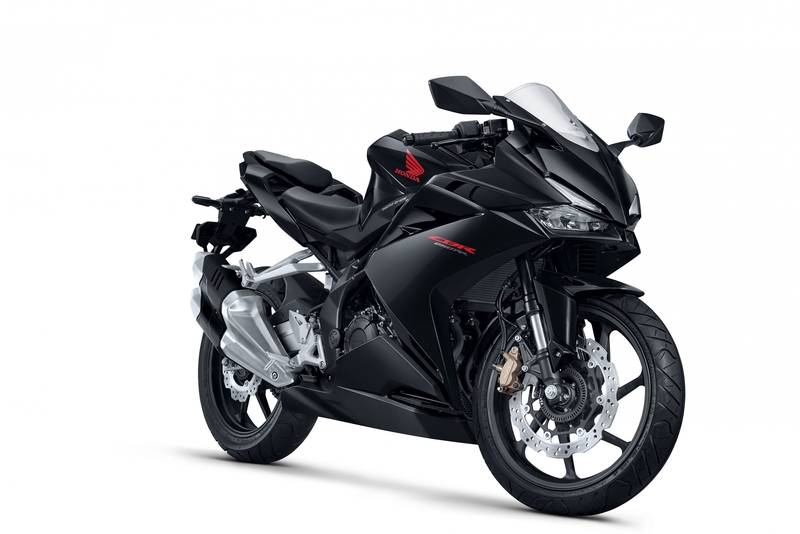 The entry-level Honda CBR250RR Black Freedom standard version costs Rp 59,900,000 (On the Road). On the other hand, the Bravery Mat Red and Black Gunpowder Black Metallic cost Rp 64,725,000 for the standard version and Rp 70,725,000, for the ABS model. That said, the top of the line model costs Rp 65,325,000 for the standard model and Rp 71,325,000 for the ABS variant (all prices are on the road Indonesia).